In the 1980s U.S.Rep. 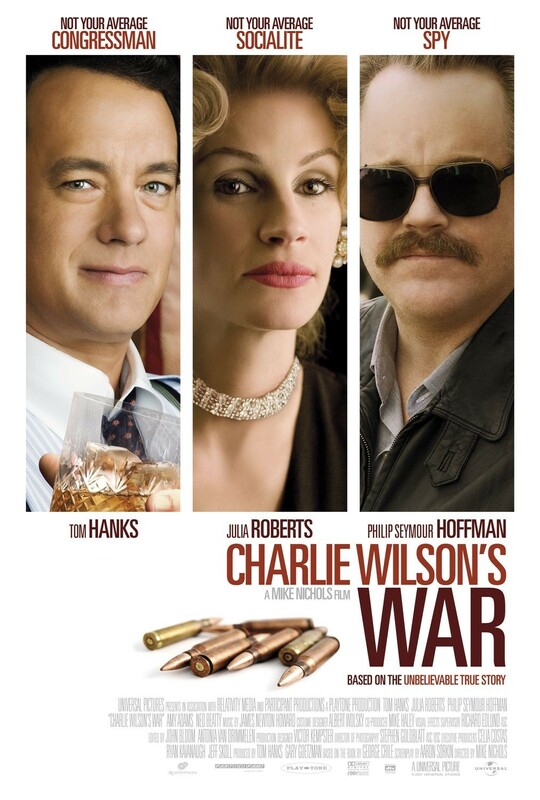 Charlie Wilson (Tom Hanks), Texas socialite Joanne Herring (Julia Roberts) and CIA agent Gust Avrakotos (Philip Seymour Hoffman) form an unlikely alliance to boost funding for Afghan freedom fighters in their war against invading Soviets. The trio's successful efforts to finance these covert operations contributes to the fall of the Soviet Union and the end of the Cold War.